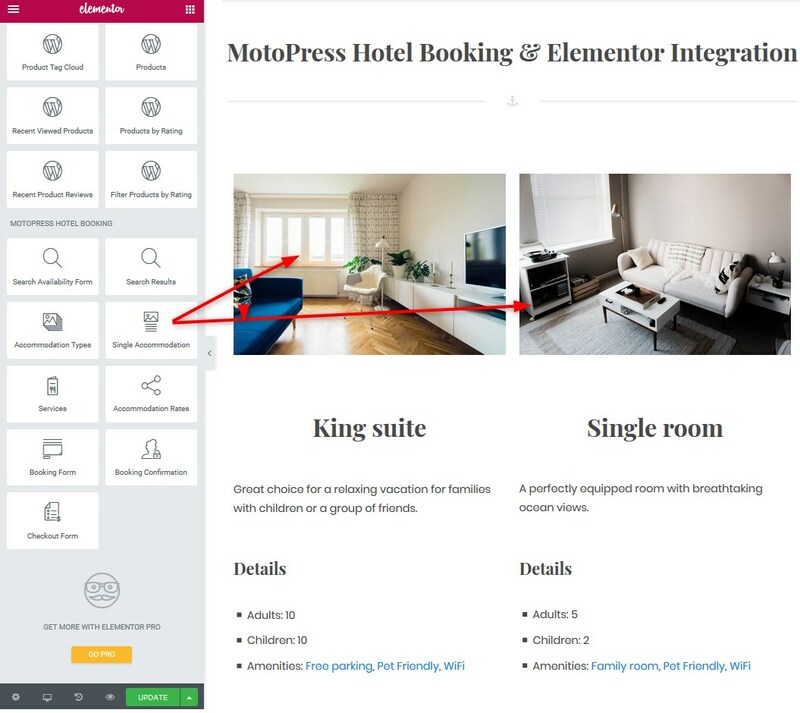 We really care about our clients and respect their choice, so for those who have already built their hotel or vacation rental WordPress website with Elementor, we’ve released the new MotoPress extension – Hotel Booking & Elementor Integration. 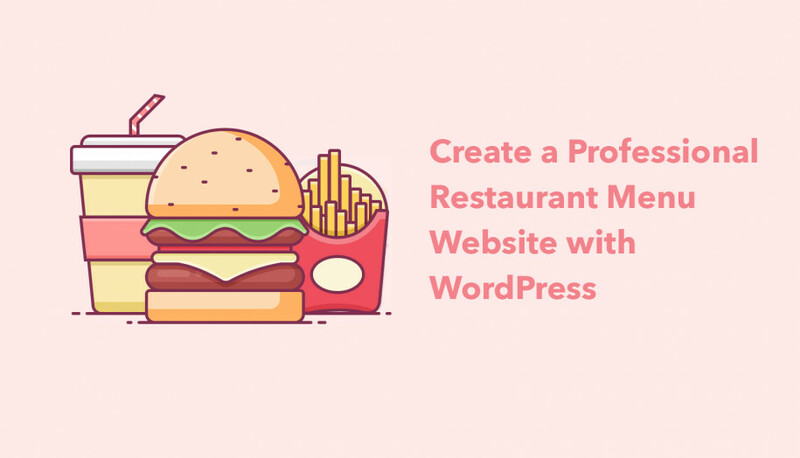 With this addon, you can create all necessary pages of your website visually, without a need to tinker with shortcodes. In broad strokes, this add-on serves up visual editing on the frontend, a user-friendly shortcode generator and a drag-and-drop interface. It is absolutely free, so don’t forget to download it and give a try! Many of you who already use Elementor are familiar with the flexibility of this editor. 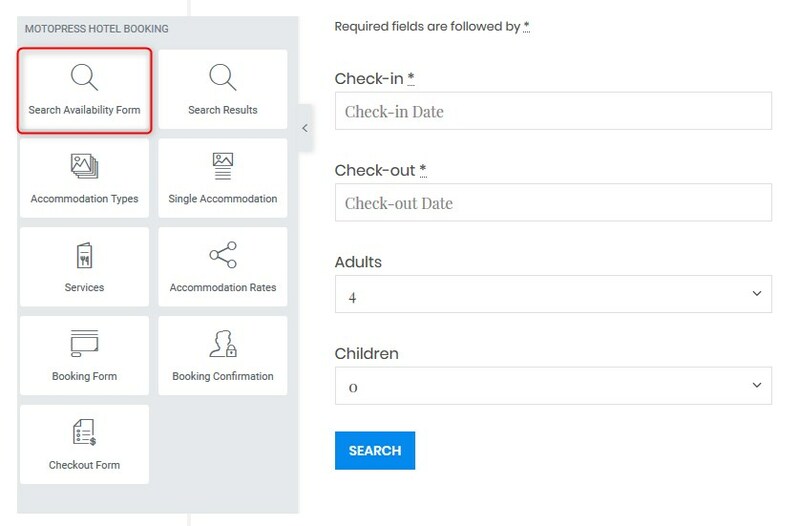 Integrating all essential shortcodes of the Hotel Booking plugin into Elementor will provide you with a super user-friendly toolkit for editing shortcodes and their parameters, so you don’t need to manually do the job. Instead, simply choose preferred options from the drop-down menu in a visual editor and enjoy instant results. 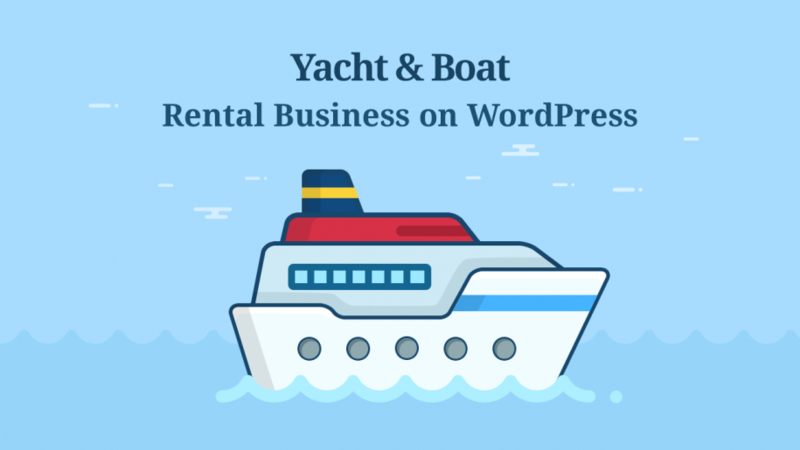 Check out real-life websites built with Hotel Booking and Elementor! Hotel Booking & Elementor Integration extension. Make sure all of them are installed and activated. 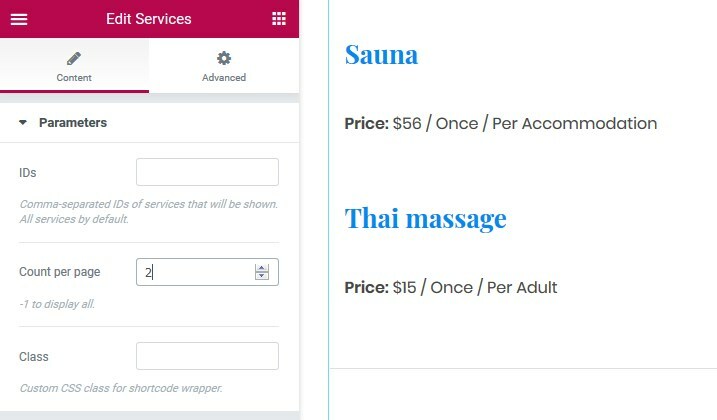 Also, add your content via the Hotel Booking plugin first so that your work with shortcodes in Elementor is really quick. 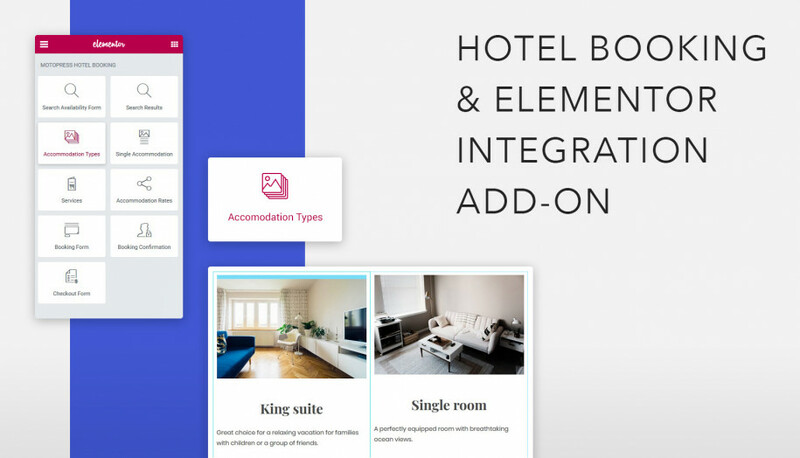 To create all necessary pages with Hotel Booking shortcodes via Elementor visual builder, go to a page > edit > edit with Elementor. 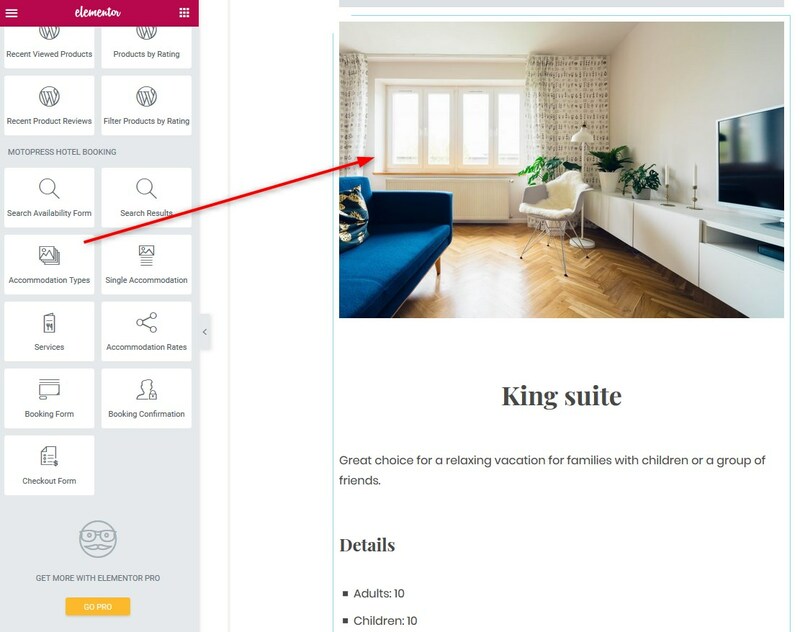 In the list of available content modules in Elementor builder you’ll see MotoPress Hotel Booking modules – just scroll down to see the whole list. In the Advanced settings tab, Elementor allows you to tweak the layout like spacing, etc. Overall, it’s much more flexible than the current version of Gutenberg editor. There are also several system pages you can set up visually: add shortcodes for the search results, checkout form and a booking confirmation form. Parameters of the search results page are fully customizable, so you can decide what info to show to the guests who search for the lodging. In addition to standard listing parameters like excerpt, details, price, etc., you can also set the sorting by order or by price. 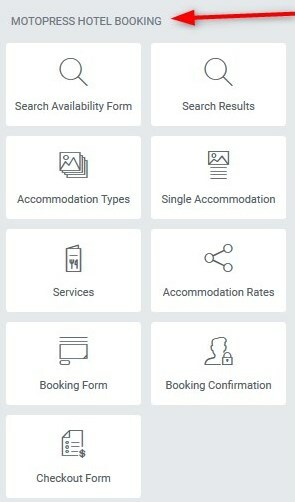 If you need to place a booking form of any particular accommodation right on the individual accommodation page, you can add a booking form with the accommodation ID. This will allow your guests to make a reservation directly from that page. 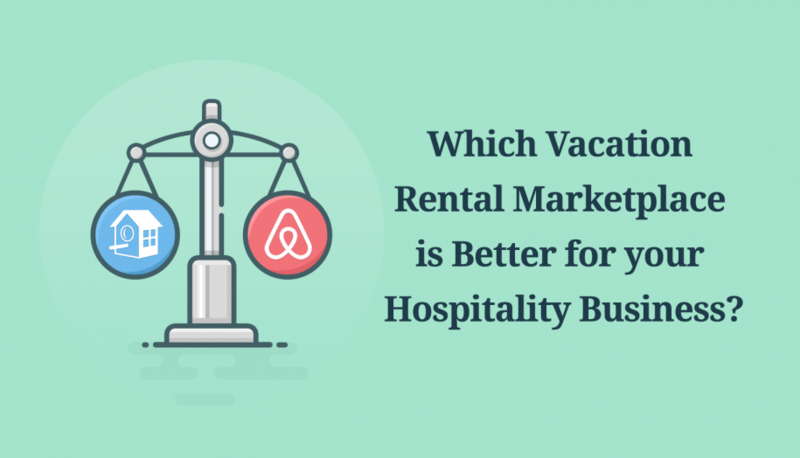 You may also list all available accommodation rates and services with a help of a shortcode (don’t forget to add their content via Accommodation > Rates or Accommodation > Services before adding shortcodes). You’ll need to put the needed accommodation ID (all services and rates should be tied to this accommodation). If there are lots of services, you can even set a number of items per page. Hotel Booking & Elementor Integration free add-on is a perfect utility to speed up and optimize a website building process, especially for non-tech people. 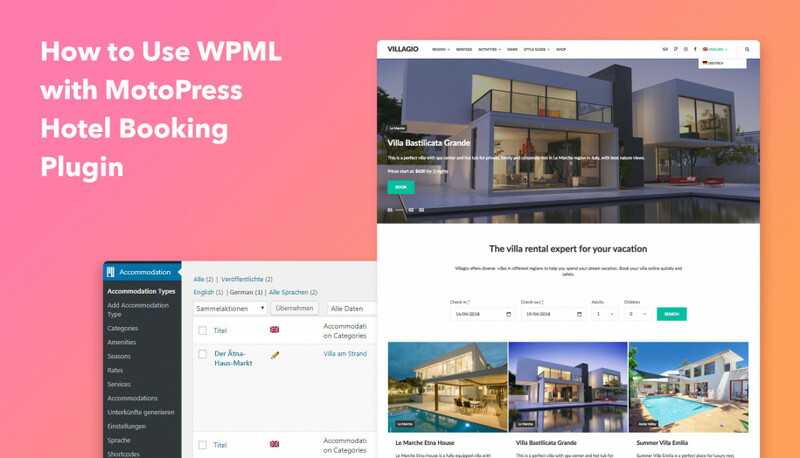 Elementor is very quick, neat and flexible WordPress page builder, so you can safely rely on it in building your property booking WordPress website. Free DownloadUsing this extension you’ll save a ton of your time and will significantly ease the work of adding and customizing shortcodes. Moreover, if you need a fully-fledged solution (a property rental WordPress theme completely built on Elementor and powered by the Hotel Booking plugin), check out AlpenHouse theme. Do you think you’ll be using the plugin? Do you have any idea in mind on how it should be improved? Let us know! I installed the latest version (1.1.0) and it caused white screen of death! Website seems to come back if I disable Hotel Booking & Elementor Integration or Elementor. It’s a shame I can’t rollback to older version because you don’t make that available! Can you help me?? Unfortunately we were not able to replicate the issue locally as it work properly on our side. We have found a request from you and sent a reply for further investigation. It has not been added as widget to Elementor so you can add it as shortcode so far. 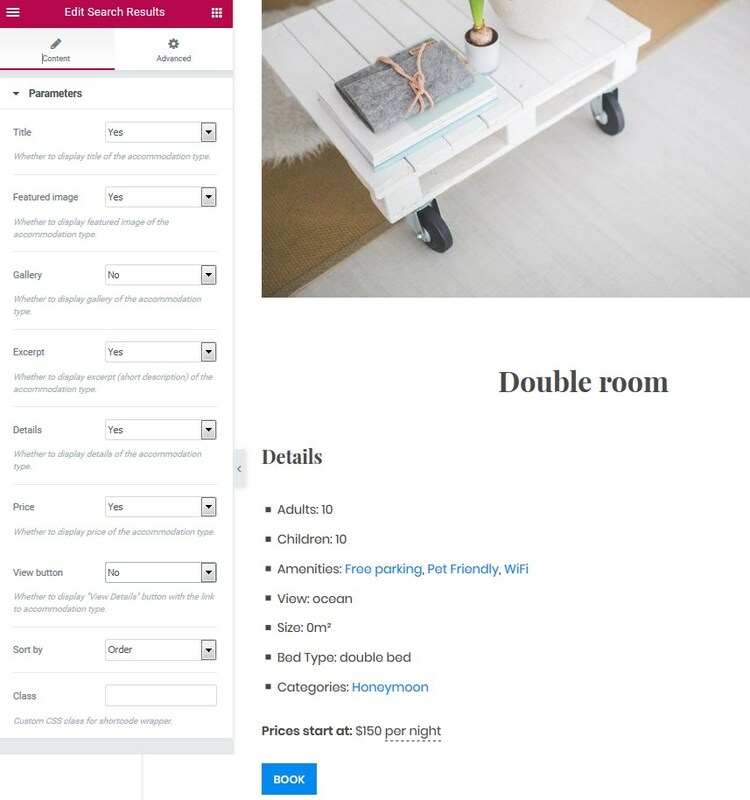 Actually Hotel Booking plugin can be used with front-end submission of accommodation type but it was not totally adjusted for this purpose yet. So it might require customizing plugin. Feel free to list all the options and functionality you need for this. Thank you. Could you add an option to the elementor widget to make the search availability form horizontal? I think it would be very useful, thank you. Thanks for your suggestion. We’ll review this change in one of the next updates. I use MotoPress WordPress plugins for my site. Its review and ratings is good. 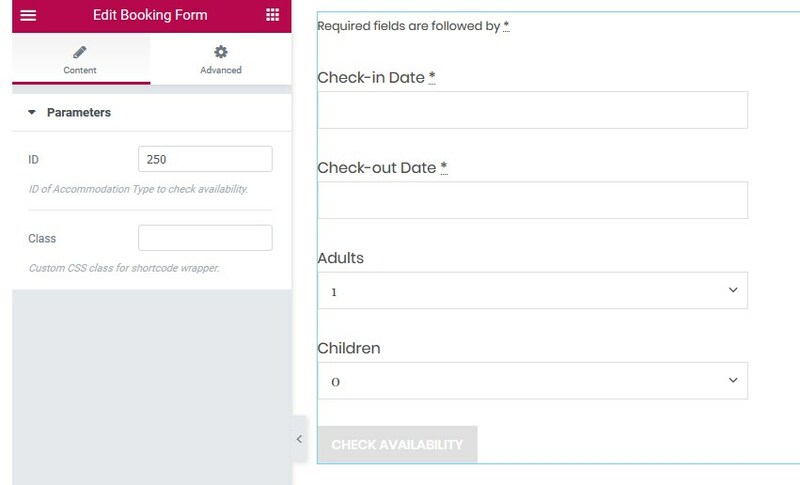 It also user-friendly and especially the Booking form is awesome. Hey Joanne! Thanks for your kind words! If you have a minute, could you please leave your review right on the plugin’s page to make it instantly visible for other people? https://motopress.com/products/hotel-booking/#reviews It would be incredibly helpful!